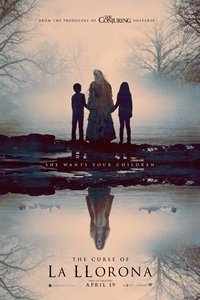 Synopsis: In 1970s Los Angeles, La Llorona is stalking the night and the children. Ignoring the eerie warning of a troubled mother suspected of child endangerment, a social worker and her own small kids are soon drawn into a frightening supernatural realm. Their only hope to survive La Llorona's deadly wrath may be a disillusioned priest and the mysticism he practices to keep evil at bay, on the fringes where fear and faith collide.